Preheat the oven to 350°F. Line a roasting pan with foil. Place the ham in the roasting pan cut side down. Roast the ham uncovered for 1 (for a 5 lb. ham) to 2 hours hours (for an 8 lb. ham). Meanwhile, combine the brown sugar, balsamic vinegar and mustard in a small bowl. Brush the ham with the glaze; continue roasting for an additional 30 minutes, basting with glaze every 10 minutes. 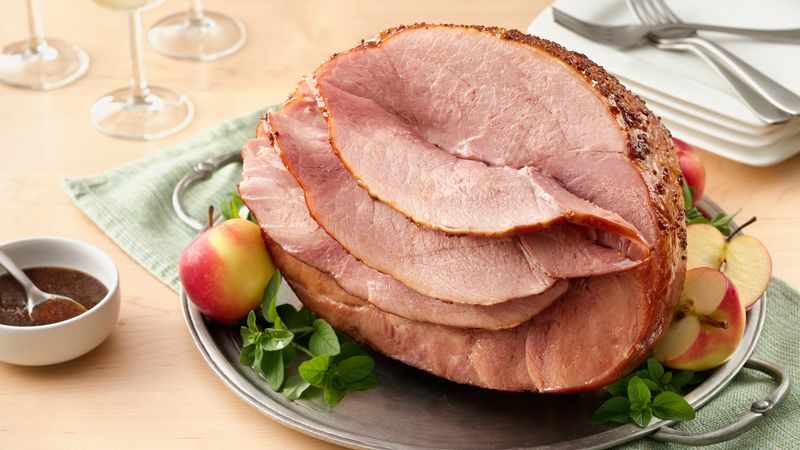 Ham should be baked to an internal temperature of 140° F. Remove from oven; let the ham rest for 15 minutes before carving. Serve.